Today I am focusing on 4 best bright lipsticks for spring. This post was inspired by HP x360 and the 4 modes you can use it to bend the rules. Also, find out more below about how HP is partnering with Meghan Trainor on her first-ever tour. From left to right: Wet N Wild Fuchsia with Blue Pearl, MAC Impassioned, Revlon Fuchsia Shock, and Youngblood Tangelo. Let’s talk about the lipsticks. I have tons of lipsticks that are bright and fun, but I have picked the 4 best bright lipsticks from my collection. They are: Wet N Wild Fuchsia with Blue Pearl, MAC Impassioned, Revlon Fuchsia Shock, and Youngblood Tangelo. The Wet N Wild and Revlon shades are the drugstore lipsticks that you can get at an affordable price. They can still hold up very well when talking about pigmentation. MAC and Youngblood are a bit more pricey, but also have great lipstick quality. 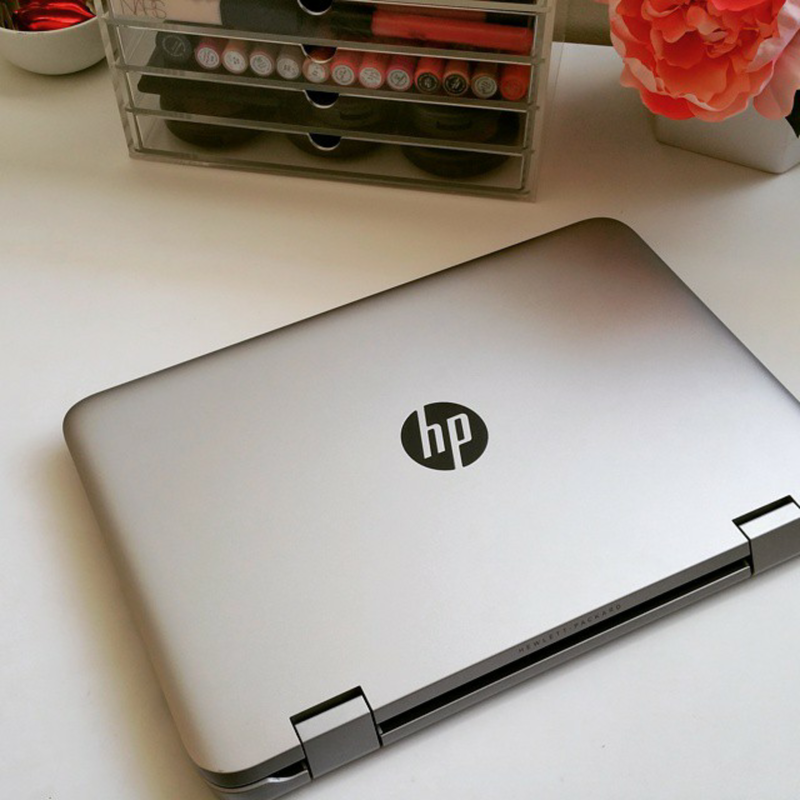 Since this post is inspired by the HP x360, take a look at the different ways you can use it. 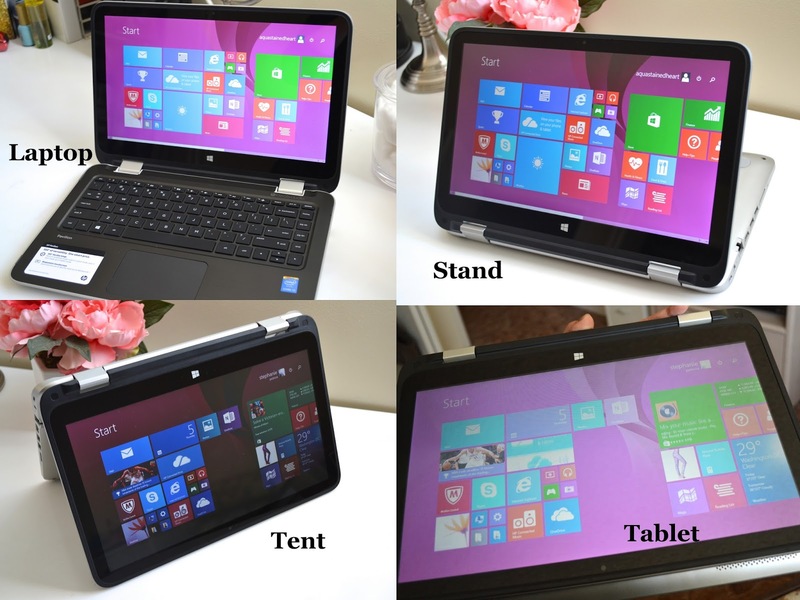 There are 4 modes: Laptop, stand, tent, and tablet. I love how you can turn your computer into many different modes just by bending it or taking off the keyboard. My favorite mode has been the stand. I can easily use the touch screen to change music, browse the web, and play games without needing the keyboard. In the spirit of bending the rules, HP has partnered with Meghan Trainor to document her first-ever tour with “All About That Tour”, which is a six episode documentary of the tour. In each episode, they will show a glimpse at what goes on behind the scenes, focusing on everything from tour life to the wardrobe. HP has really made a laptop that is versatile and different with the x360. What do you think would be your favorite mode using the HP x360? A #bendtherules moment in partnership with HP. All opinions are honest and my own. I tried two of the more neutral shades (Bare and Classy) and totally agree with your thoughts. My main beef with these is how dry they feel upon application, but you can't beat $2.50!